Spirit Airlines only offers 1 credit card for the U.S. market and does not partner with any of the flexible point programs (American Express Membership Rewards, Citi ThankYou Rewards, Chase Ultimate Rewards, or Marriott Bonvoy). However, the revenue and award flight costs for Spirit flights are typically low, so it shouldn’t take much cash or points to get you to your destination. Spirit Airlines partners with Bank of America, who is the issuer of its co-branded credit card. By spending on the Spirit Airlines World Mastercard, you will earn Spirit Airlines miles directly. The Spirit Airlines loyalty program, called FREE SPIRIT, is free to join, and the miles that you earn can be redeemed for an award flight. 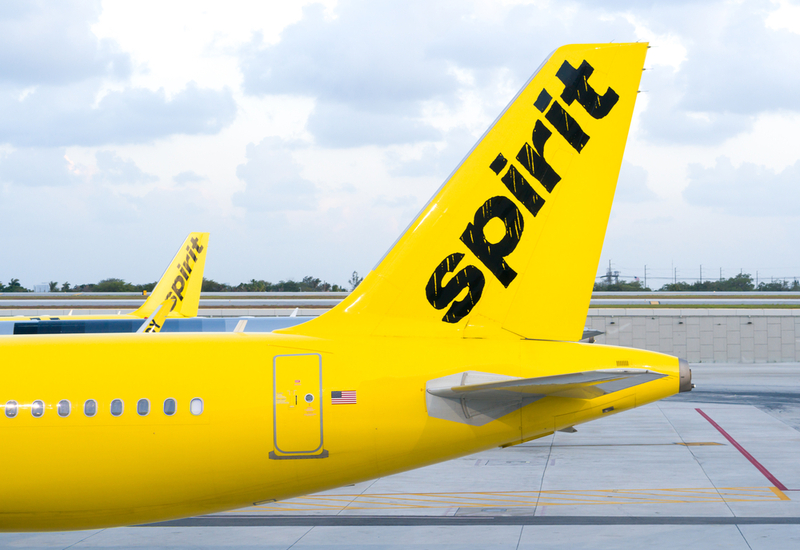 Spirit Airlines falls squarely into the budget airline category, joining the ranks of airlines like Frontier and Allegiant. What makes Spirit unique is just how many Latin American and Caribbean destinations the airline serves. The best way to earn FREE SPIRIT miles is to fly on Spirit, spend money on its Bank of America co-branded credit card, or participate with its partner programs. When Spirit Airline miles are earned, those miles can then be used to book an award flight on Spirit’s website. The loyalty program is free to join by filling out this application. After you join the FREE SPIRIT program, you’ll have the ability to earn and redeem miles for an award flight, in addition to working your way toward elite status. 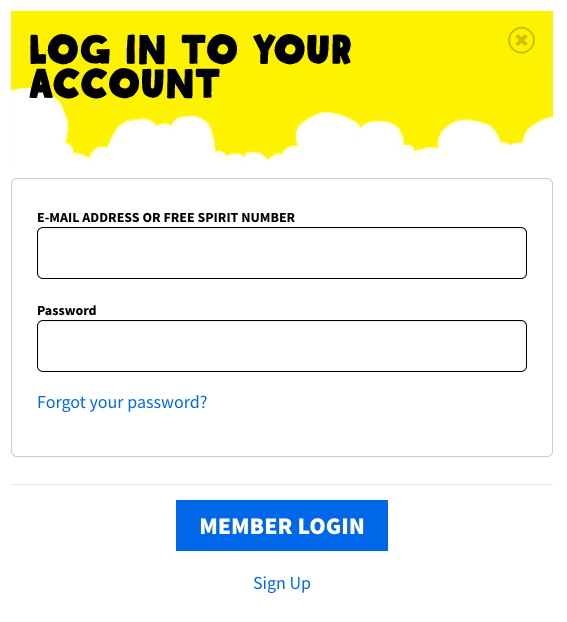 Head to the Spirit Airlines login page where you’ll enter your email address or FREE SPIRIT number and password to access your account. Spirit Airlines login page. Image courtesy of Spirit Airlines. Hot Tip: You’ll need to sign in to your Spirit account to search for and book an award flight. FREE SPIRIT mileage activity can be accessed by logging into your account, clicking your name at the top of the page, and clicking STATEMENTS. On the statements page, you’ll see a detailed ledger of your posted transactions. This process to review your activity is simple and only requires a few clicks after logging into your account. FREE SPIRIT miles expire every 3 months, but there are ways to extend the mileage expiration timeline. As long as you earn any amount of miles within the previous 3 months, your miles won’t expire. If you don’t earn miles in that time frame, any miles older than 3 months will expire. In addition to flying, another way to keep miles from expiring is to make at least 1 transaction per month on the Spirit World Mastercard. The last 2 ways to keep your miles are using one of the Spirit Airline partners, or buying miles to restart the clock on your mileage balance. Bottom Line: Spirit offers several ways to make sure that your miles don’t expire in that 3-month window! As a Free Spirit member, you have access to three elite tiers: Somebody, Elite and VIP. Separately, Spirit has a program called the $9 Fare Club. This club, which actually costs $59.95 the first year and $69.95 in subsequent years, offers benefits like reduced flight fares and discounted baggage fees. If you’re interested in learning more, check out Spirit’s website for the full list of benefits. As you can see, Spirit lacks many of the benefits that you’d find with a non-budget airline. That is to say, there isn’t much in value in holding Spirit elite status. Free Spirit Elite status can be obtained by the being a Spirit cardholder, earning a certain amount of Spirit miles, or spending a certain amount of money on base fares. Spirit’s Elite Tier status is earned by flying at least 12,000 miles or spending at least $1,200 on base fare tickets (not including taxes, fees or optional services) within six months. Another way to earn Elite Tier status is by signing up for a Spirit Airlines credit card. After your first purchase, you’ll earn 15,000 bonus miles, which is enough miles to qualify for Elite Tier. Hot Tip: It’s important to note that your status will expire every six months if you don’t meet the mileage or base fare requirement! If you use your Spirit Airlines credit card once every three months, you will extend the expiration of your status. Spirit’s VIP status is earned after flying 24,000 miles or spending $2,400 on Spirit Airlines base fares (not including taxes, fees or optional services) within six months. As with Elite Tier status, you’ll need to re-qualify for VIP every six months. Spirit doesn’t provide a ton of ways to earn FREE SPIRIT miles, but it’s still important to know your options. Spirit Airlines partners with Bank of America, which offers its co-branded airline credit card. In addition to flying Spirit Airlines, spending on the Spirit Airlines credit card is the best way to earn FREE SPIRIT miles. Bottom Line: Combining revenue flights and credit card spending will ensure you are earning miles that can be redeemed for an award flight. The FREE SPIRIT program has other ways for its member to earn miles as well. Spirit Airlines has what it calls Everyday partners like Spirit Cruises, car rental partners like Hertz, and hotel partners like Choice Hotels that allow you to earn miles when you spend with them. Hot Tip: If you add your airline loyalty program to other services, you won’t also earn status points with these brands (unless it’s a preferred car rental agency that has specifically partnered with the airline; this partnership acts as a sort of alliance between airline and rental agency). If you’re interested in checking out what Spirit Airlines requires for certain routes, click the full award chart and scroll down to the second page. It’s important to note that when you’re reviewing the award chart, there’s only 1 award price. That’s because Spirit doesn’t have a premium cabin, so the mileage required will be driven by the mileage type, date, and region. Spirit is not in an alliance, so the only flights you’ll see on its search engine will be Spirit Airlines. This is similar to what you’ll find with Southwest Airlines and JetBlue. We recommend redeeming your miles online instead of calling in to book, where you’ll be required to pay a $25 booking fee. Hot Tip: Even though you’re likely to see cheap flights offered by Spirit Airlines, sometimes it can make sense to redeem FREE SPIRIT miles when the revenue cost of a Spirit Airlines flight is higher. What is the Spirit Airlines FREE SPIRIT Program? Is it worth it? What are the benefits? 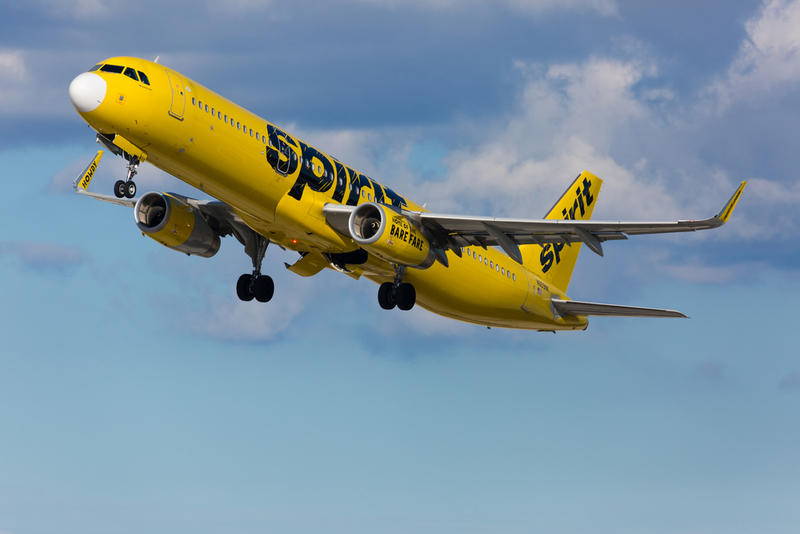 The free frequent flyer program of Spirit Airlines is called FREE SPIRIT and by signing up, you’ll have the ability to earn miles from flying and redeem miles for an award flight. After you earn enough Spirit Airlines miles, those miles can be used to book an award flight within the U.S., or to Mexico, the Caribbean, or South America. In FREE SPIRIT, who are the partners? Can I transfer miles to them? Spirit Airlines isn’t part of an airline alliance, and also doesn’t have any airline partners. In short, you will be unable to use FREE SPIRIT miles on any flight other than one flown by Spirit Airlines. What is the Spirit Airlines FREE SPIRIT login? You can sign in to FREE SPIRIT here. Where can I sign up for FREE SPIRIT? Sign up to the FREE SPIRIT program by filling out this online form. What is my FREE SPIRIT number? You can find your FREE SPIRIT number by signing in to your account, on your membership card, or through a variety of marketing emails they send to you. When do miles post in FREE SPIRIT? It can take up to several days after your flight for miles to post, but it’s possible it may take longer. If you forget to provide your membership number at the time of booking, you may request mileage credit be added to your account for previous flights flown up to 30 calendar days after your reservation. When do FREE SPIRIT miles expire? FREE SPIRIT miles expire after three months of account inactivity. Simply making a qualifying purchase with your Spirit Airlines credit card, flying on a Spirit Airlines flight, or earning miles with a Spirit Airlines partner will prevent mileage expiration. When does FREE SPIRIT status expire? Elite status with Spirit expires every 6 months so you’ll want to make sure you meet the qualifications within that time period to retain your status. Is there a Spirit Airlines credit card? Yes! Bank of America offers the co-branded Spirit Airlines World Mastercard.